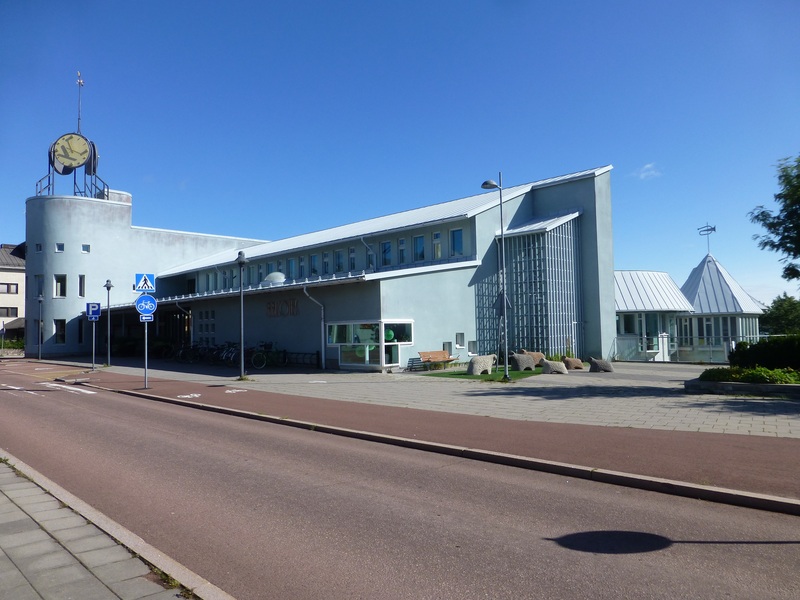 Mariehamns stadsbibliotek (Mariehamn City Library) opened in 1989. 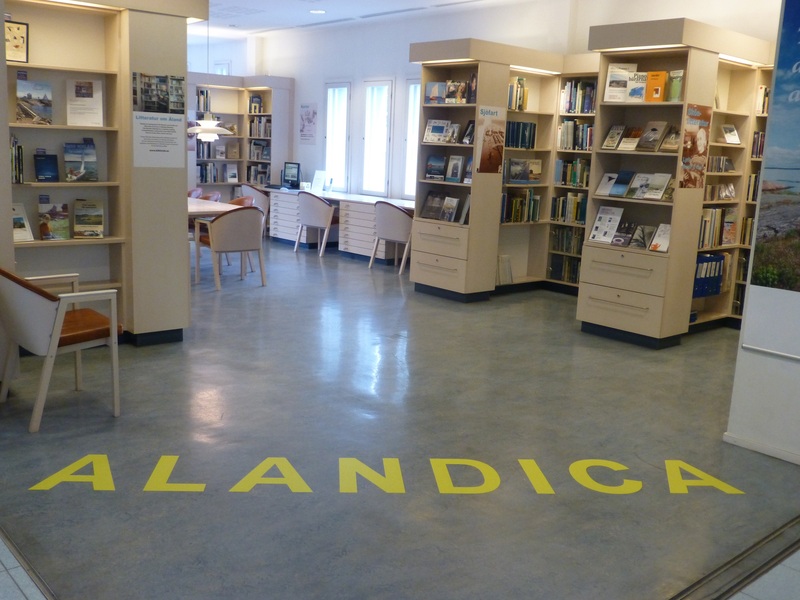 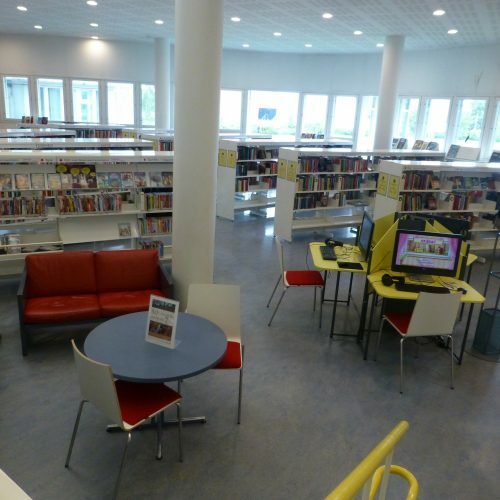 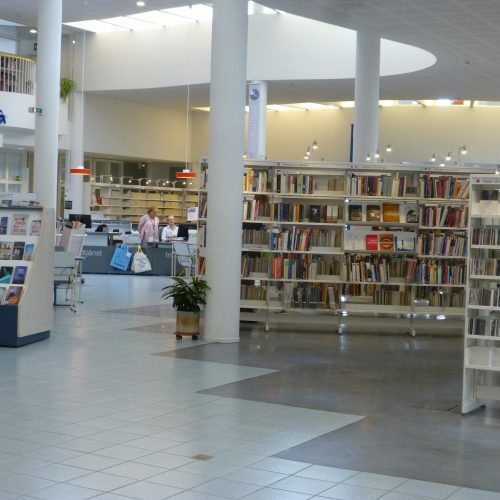 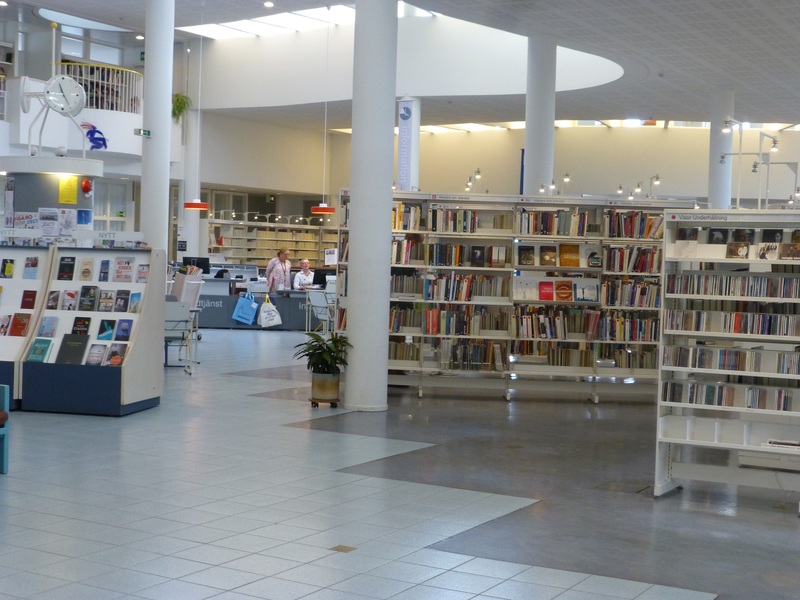 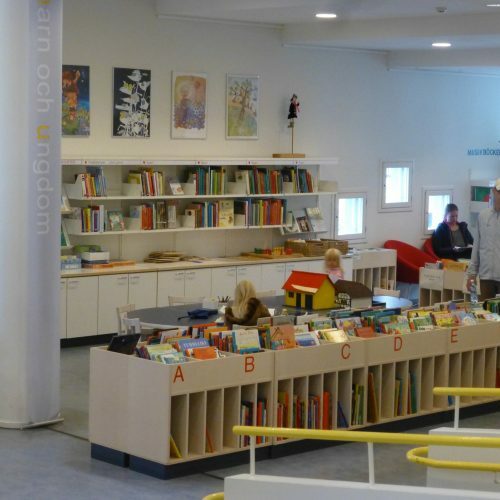 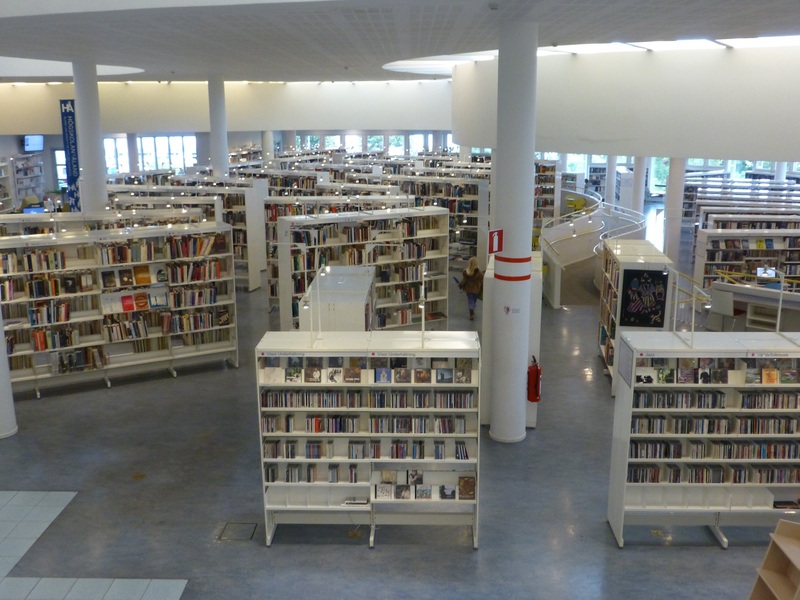 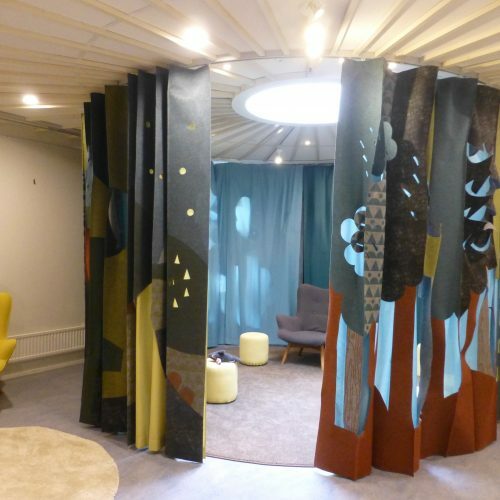 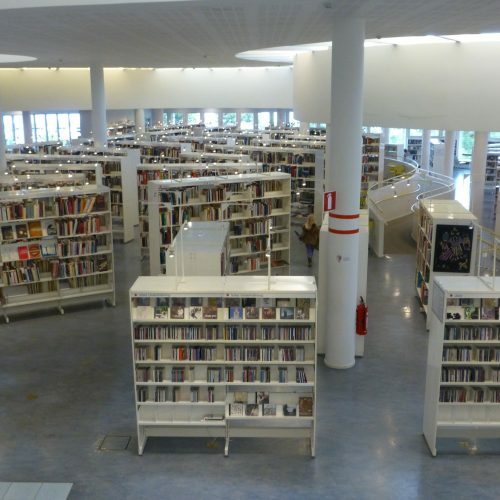 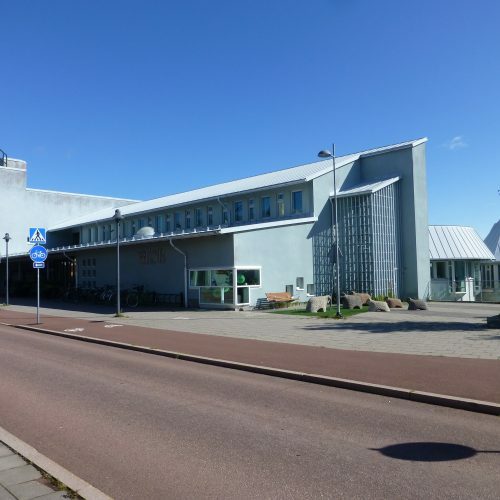 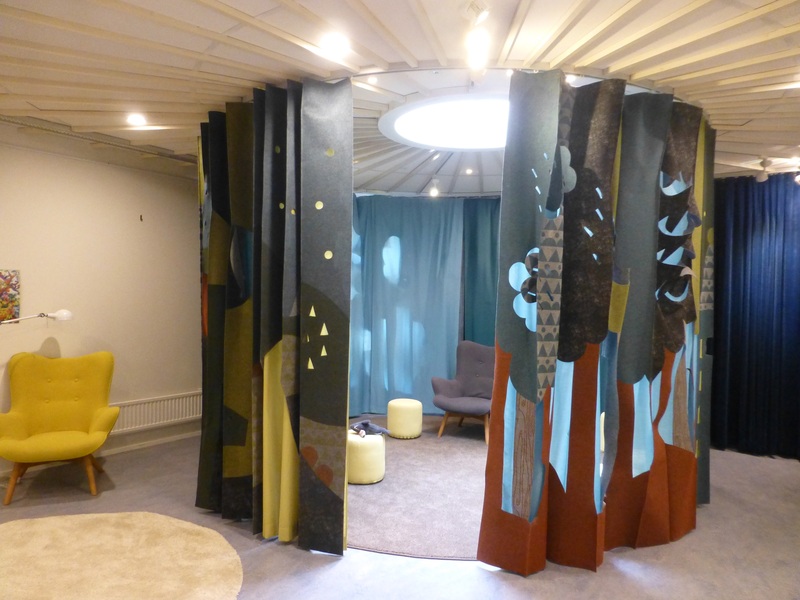 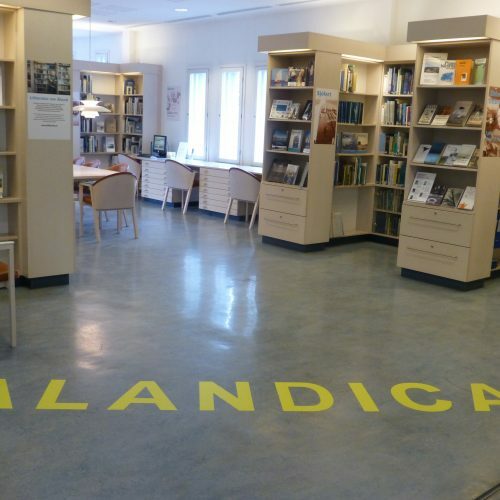 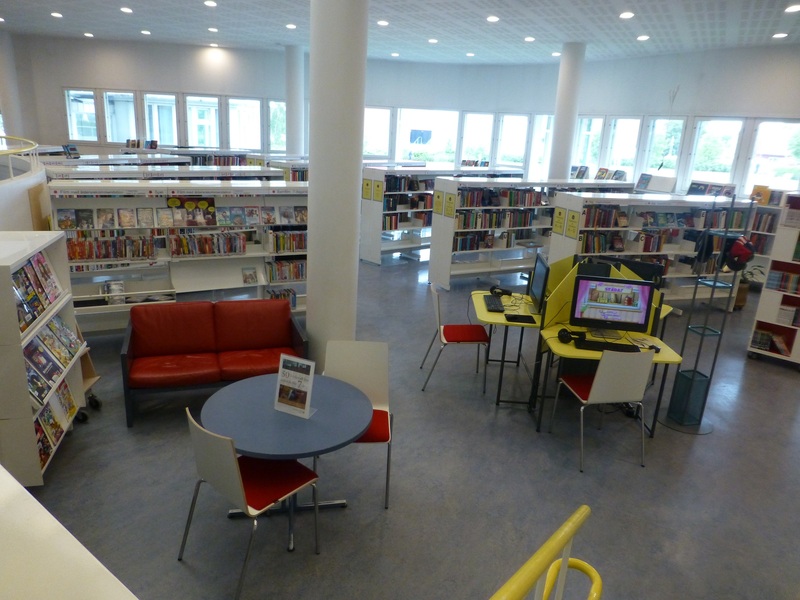 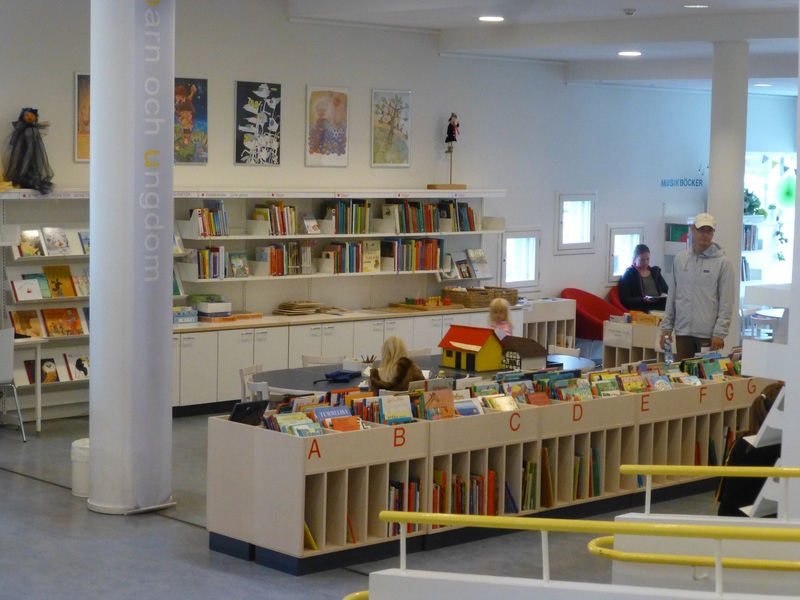 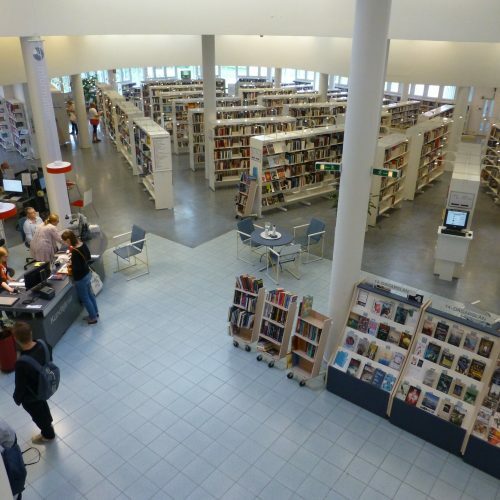 In the region/group of islands that constitute Åland, with about 30 000 inhabitants out of which roughly a third is living in the city of Mariehamn, the library is remarkable in its size and services. 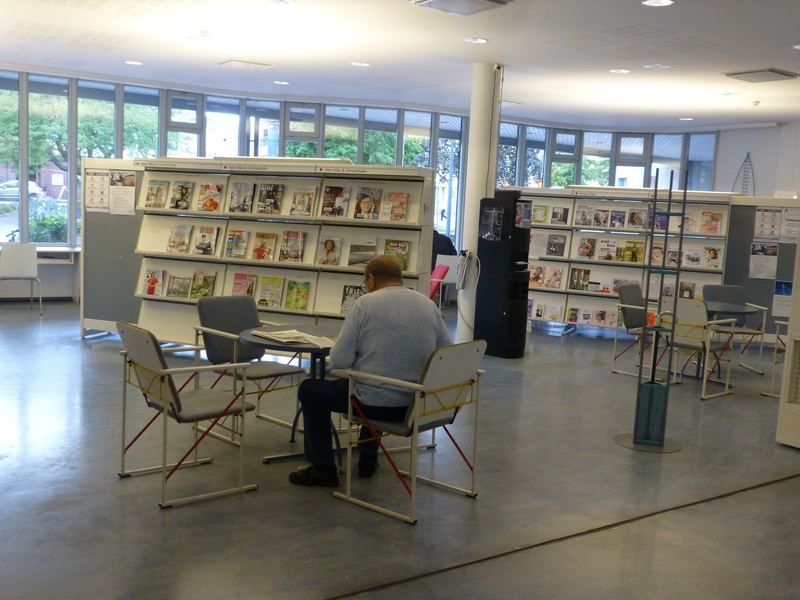 The library is well organized and has a very good collection of media. 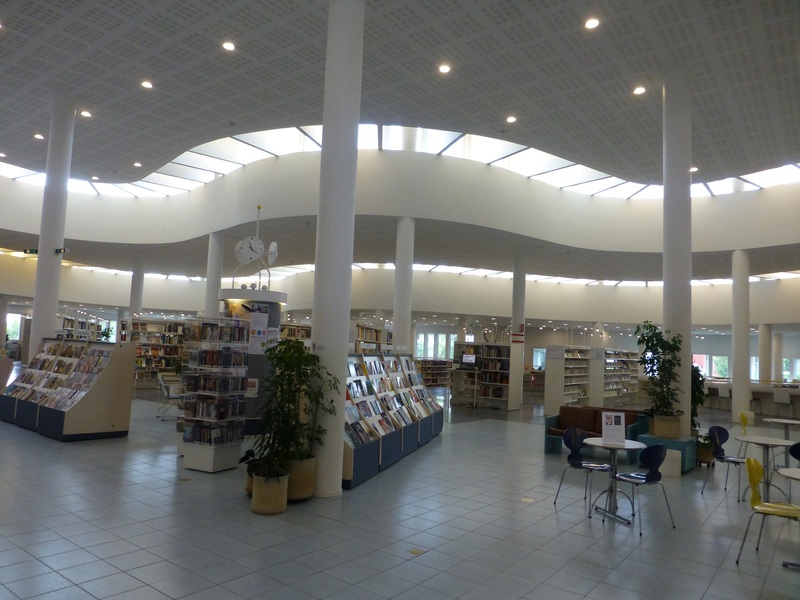 The interior is stylish but has hardly any cosy elements. 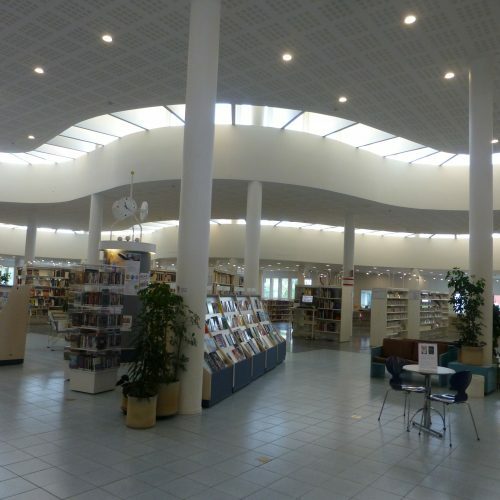 The white colour is dominating and creates a rather chilly atmosphere. 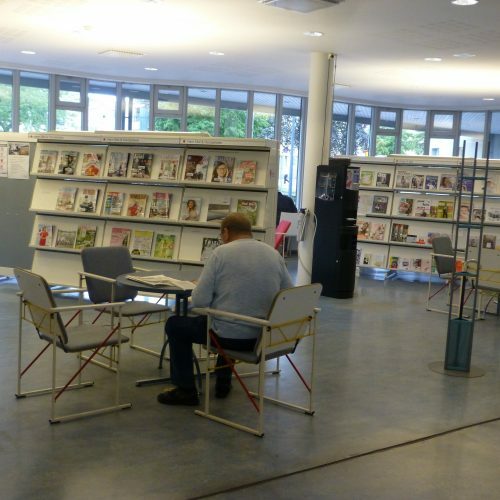 Since several years there is annually a small but popular literature festival in the library. 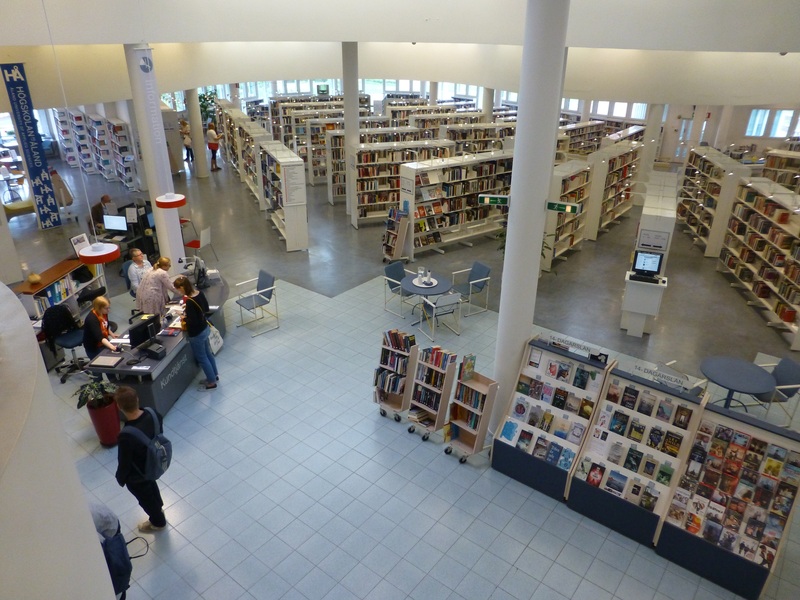 There is cooperation with the local college and the media collection of the college is in the same premises. 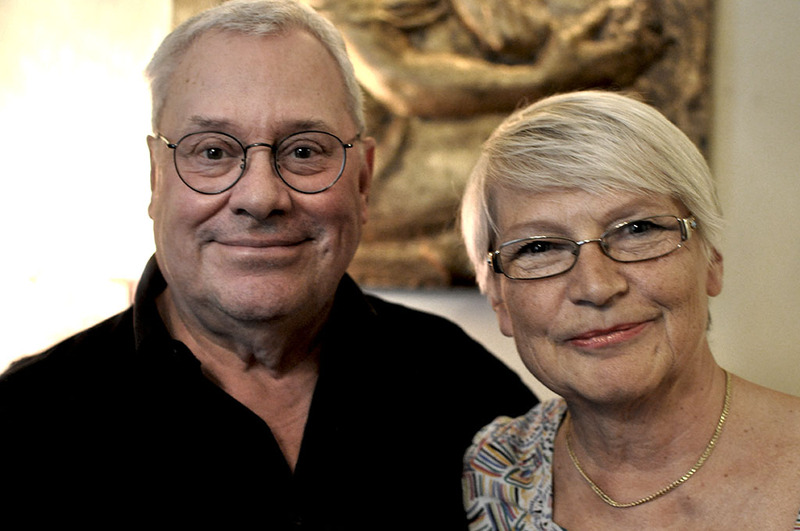 FOUR stars: Very good.